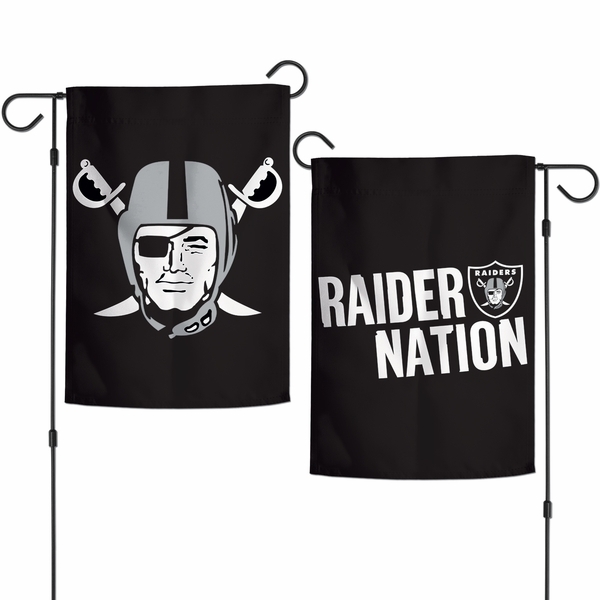 Wave your team pride high and decorate your home with the Raiders Garden Flag by Wincraft! This garden flag features bold Raiders graphics printed onto both sides. Measures approximately 12.5" x 18".